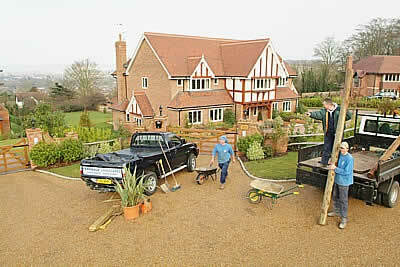 We are a firm of landscape contractors with over 20 years in the business. We design and create landscapes for clients including developers and local authorities as well as companies and homeowners. We also take on one-off landscaping projects, like constructing an outbuilding or draining a piece of land. We love a challenge and especially enjoy taking on unusual or taxing projects, whether that be creating a relaxing space in a small town garden or sorting out problem lawns in a business park. We approach each job with the same level of commitment, and aren't happy until our clients are. To find out more, please explore this site. Then contact us to arrange an initial meeting.